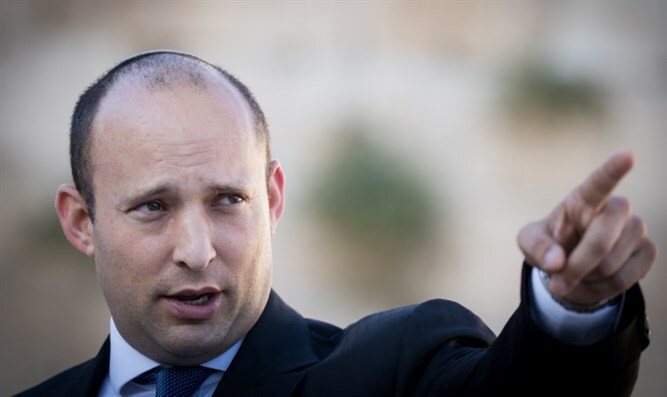 President Trump’s decision to sign a waiver keeping the US Embassy in Israel at its present location in Tel Aviv will have serious repercussions for his plans to achieve a lasting peace in the Middle East, Education Minister Naftali Bennett warned Thursday. Earlier Thursday, the president extended for an additional six months a security waiver deferring implementation of the 1995 Jerusalem Embassy Act, a bipartisan bill passed during the Clinton administration which requires the US Embassy in Israel be moved to the Israeli capital. In 2016 Trump pledged to implement the law and relocate the embassy if elected. Since taking office, however, Trump has remained mum on whether he will make good on his promise. After the decision was announced, Bennett warned that the decision would harm efforts to establish peace between Israel and the Palestinians, as it would foster false hopes in the Arab world that the Israeli capital could potentially be divided. "There is no peace based on the division of Jerusalem,” said Bennett. “Only recognizing a united Jerusalem under Israeli sovereignty will end illusions and pave the way to a sustainable peace with our neighbors." At least one senior US official said the deferral was only meant as a delay, and that the White House still planned to make good on the president’s campaign promise.